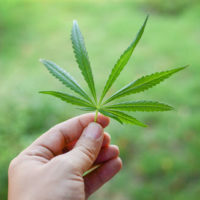 In late March, major steps were taken concerning the legalization (and decriminalization) of recreational marijuana in New Jersey and New York. While, on March 18, New Jersey Assembly and Senate Committees advanced a measure to legalize (and decriminalize) the substance, at the same time, New York’s Governor Cuomo indicated that New York may have to cut the state’s legalization measure from the April budget, indicating that progress on decriminalizing the substance might be delayed until June. In New Jersey, the recreational marijuana legislation will now head to the floor, where legislators are expected to vote on it during the last week of March. If there are enough votes to pass it in the Assembly and Senate, Gov. Phil Murphy has indicated that he plans to sign it into law. Calls for funding drug-recognition experts as part of the state’s law enforcement. While it would be legal to engage in these activities as soon as the law goes into effect, it will likely take longer for the legal marketplace to be established in the state. Still, according to reports, medical marijuana facilities would be allowed to offer recreational marijuana as son as the bill passes. Meanwhile, in spite of the apparent setback in New York, whereby the April budget bill will no longer contain its adult-use cannabis legalization measure, Gov. Cuomo appears to be optimistic that New York will decriminalize marijuana this year. However, it is still entirely possible to be arrested for a marijuana-related crime in both New Jersey and New York. If you have been accused of a drug crime, contact our experienced drug crime defense attorneys at the office of Phillip J. Murphy today to find out how we can help.